Every year on the Valentine’s Day, all of us are in a major confusion as to what we shall gift to our loved one. 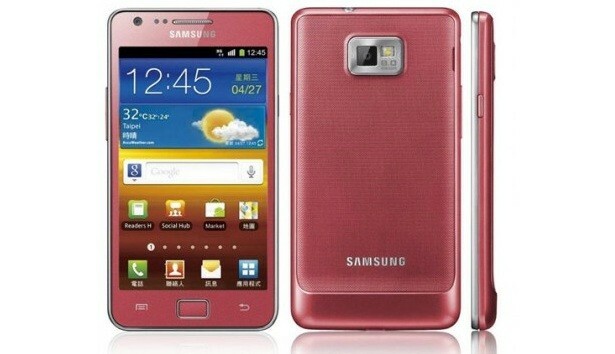 And to help us clear out this confusion, Samsung has come out and announced its best-selling Galaxy S II smartphone in the colour of love, ‘Pink’. Yes, back there in the United Kingdom, Samsung has launched the S II in Pink for all the confused souls. Amongst all the smartphones arriving in snow-white colour, Samsung has indeed planned this release quite well. Gifting a white device will indeed not feel as good as gifting a pink device to your lady love. In the UK, the Pink Galaxy S II is available with Carphone Warehouse and it is up for grabs with for free on deals ranging from £25 to £31 on Orange, O2 and Vodafone. So this seems to be quite a nice deal for the guys out there. To recollect the specs of the S II, it runs on a 1.2GHz dual-core processor, has a 4.3-inch Super AMOLED Plus touchscreen, 8-megapixel rear-facing camera and, is only 8.49mm and is now in ‘Pink’. So will you buy this S II for your Lady? Let us know in the comments below.